The V Tac Pro range of LED Floodlights are powered by Samsung LEDs, they offer a 30,000 hour life and come with a 5 year warranty. These slimline floodlights are ideal for any general domestic floodlighting applications , such as pathways, security and domestic exterior lighting. The new slimline design is only 28mm deep and comes in a black finish. Converting to LED Floodlights will offer a much extended life as well as saving 80% on electrcicity. 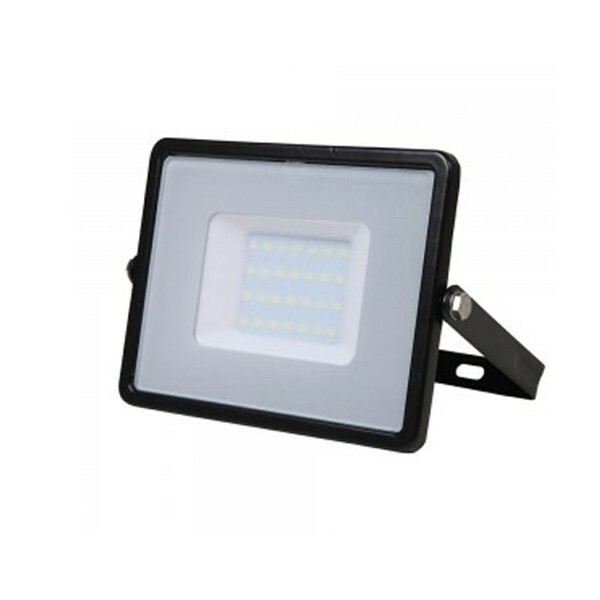 This LED Floodlight is 30w in power and has a warm white 3000k colour appearance.